Lecturing us on security, as the rockets fly in!! 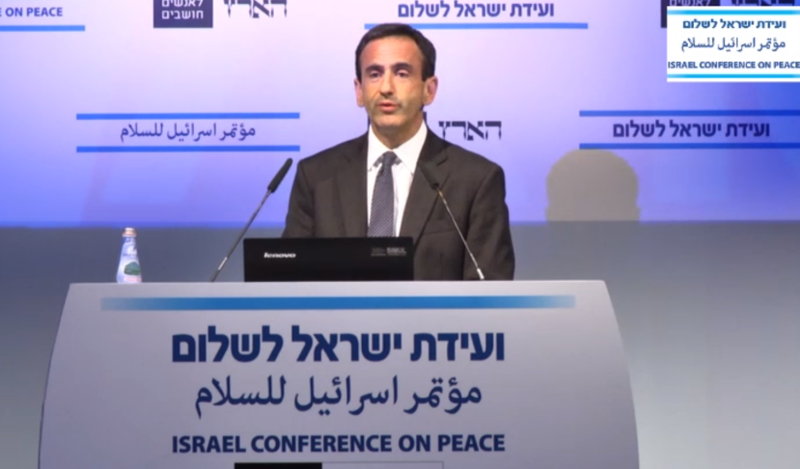 The White House’s Middle East coordinator gave a risible speech Tuesday, asserting that the US knows how to keep Israel safe, at a conference that was halted by a Hamas attack.. Sometimes you don’t know whether to laugh or cry. On Tuesday, at a conference organized by the Haaretz daily in Tel Aviv, Israel-Yisrael the White House’s Coordinator for the Middle East, Philip Gordon, delivered an address that dealt at some length with the US effort to both broker an Israeli-Palestinian peace deal and draw up the security arrangements that would leave Israel feeling safe enough to carry out significant territorial withdrawals. Gordon made lots of valid points about Israel’s essential interests requiring an accommodation with the Palestinians. But parts of his oration read as though Gordon is a recent arrival from Planet Zog who has mistaken the Middle East for Finland. Why does Gordon’s championing of these security arrangements — presented as a veritable panacea that we foolish Israelis have pigheadedly spurned — sound so particularly risible? Because he was speaking soon after the very conference he was addressing in the David Intercontinental Hotel had been forced to shut down temporarily, its participants evacuated to a safer floor of the hotel. And why was that? Because Tel Aviv, Israel-Yisrael was being targeted by rocket fire, and the sirens were wailing to warn of incoming warheads. Just to avoid any misunderstandings about where I’m coming from: Yes, Israel needs an accommodation with the Palestinians. Yes, we must retain a Jewish, democratic Israel. Yes, ruling the lives of another people is bad for them and lousy for us. Fixing the conflict, however, will not be advanced by our “closest friend” repeatedly berating us for our perceived self-destructive idiocy. Gordon is the latest, minor culprit. It is the president who is principally to blame, including in interviews such as this one — which, incidentally, was not followed by a similar interview querying Abbas’s policies when the PA leader visited Washington soon after. Peace does not solely depend on our willingness to end the occupation and give the Palestinians sovereignty, security and dignity. It also requires a Palestinian leadership and a Palestinian public truly committed to Israel’s ongoing sovereignty, security and dignity. Our closest friend doesn’t help us, or the Palestinians, or its regional interests, by pretending that a government whose ministers were subject to Hamas approval is not compromised by that association. It doesn’t help by heaping disproportionate blame on Israel for failures in the peace process, heightening the Palestinian sense of grievance, reducing the likelihood of Palestinian compromise, and legitimizing the assaults on Israel’s very existence by those who are not our closest friends. And it doesn’t help by failing to acknowledge that it hasn’t got a clue as to how to protect its own interests from “a range of contingencies, including the rising threats we see around the Middle East today,” much less protect our interests. Gordon delivered his speech after the Iron Dome missile defense system kept him safe from Hamas’s rockets, launched by an organization which his administration has implicitly legitimized as an acceptable backer of the Palestinian government. 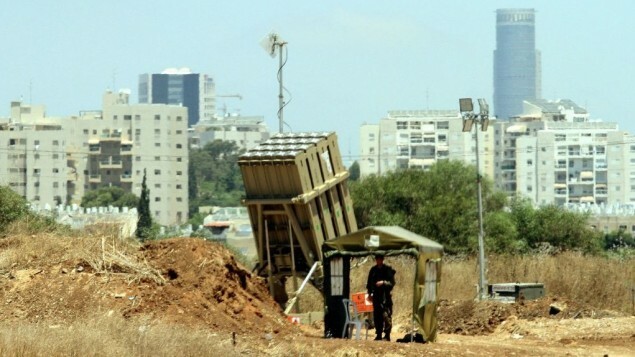 The US, to its great credit, has funded Iron Dome’s development. But the security innovations behind its life-savingly effective performance are Israeli. There’s a lesson in there which Gordon and the rest of the Obama administration should have long since internalized. It’s that our closest friend should be just a little less arrogant in telling us what we need and don’t need to do in order to keep ourselves safe. “The fear of the LORD ( ADONAI ) is to hate evil: pride, and arrogancy, and the evil way, and the froward mouth, do I hate.” ( Proverbs 8:13 KJV )!! The Barack Hussein Obama REGIME ( administration ) is Anti–Israel / Anti–Semitic / Anti–Yisrael / Anti-Constitution / Anti–Bill of Rights / Anti–Veterans / Anti–Christian and Jewish People!! h/t: The Times of Israel!! ( Joel 3:16-17 KJV ) “The LORD also shall roar out of Zion, and utter His Voice from Jerusalem; and the Heavens and the Earth shall shake: but the LORD will be the hope of His people, and the strength of the children of Israel–Yisrael. So shall ye know that I AM the LORD your GOD dwelling in Zion, My Holy Mountain: then shall Jerusalem be Holy, and there shall no strangers pass through Her any more.”!! Please PRAY for Israel’s Safety!! Israel-Yisrael is are our Ally against TERRORISTS all over the Earth God Created!! Israel-Yisrael is the Holy Land where Jesus Christ was Born!! I Love Israel, because GOD Loves Israel-Yisrael!! I Love Jesus ( Yeshua ) Christ our SAVIOUR in Heaven, but, He LOVED me FIRST!! Jesus COMMANDS us to LOVE one Another, the WAY He LOVED us FIRST!! Jesus is the WAY, the TRUTH and the LIFE, No one comes unto the FATHER, but through Me ( Yeshua-Jesus Christ )!! “Trust in the LORD ( ADONAI ) with all thine Heart; and lean not unto thine own understanding. In all thy ways Acknowledge HIM, and HE shall direct thy Paths.” ( Proverbs 3:5-6 KJV )!! « Palestinians start a war, then accuse Israel of “genocide” when it responds! !